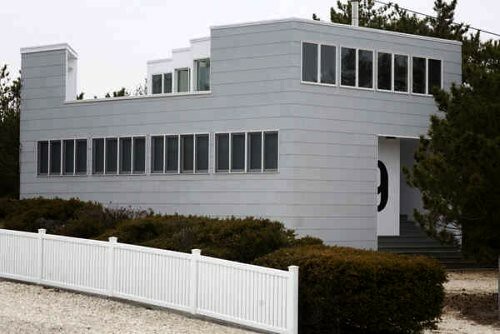 Robert Venturi's Leib house is on the web this morning as it's moved from the original location in Barnegat Light New Jersey to Glen Cove New York, where it will play guest cottage to Robert Gotkin and Deborah Sarnoff's existing Venturi designed home. I was reminded of the shots I took of Neutra's Maxwell house last august, after the first section had arrived in Angelino Heights. Since the Maxwell house in some way prototyped some of the ideas used in my house, it was like looking at my house in cross section. I'm always surprised to see how thin the surfaces we look at are - the plaster, the glass, the walls, when I see these photos. Great shots of the Neutra home. You;re right -- the sides are awfully narrow. Weird.